I'm not really sure what prompted me to start these "Thumbs Up Tuesdays" but I'm starting to realize this is a great way of looking back on your week (or month or just a day, etc.) and being grateful for the good in your life. 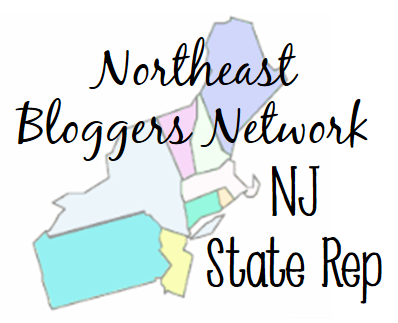 At first I thought this would just be a fun thing to do and a great way to get to know other bloggers and network, but now I'm realizing how much potential it really has. Of course, the things that get "thumbs up" can be small & simple, even rather silly at times, but I think that's the first step in enjoying the little things. In such a crushing world with so many obstacles to face, it's so important to focus on the good things that are happening in your life, or the things that you really appreciate. Make a habit out of doing this and you'll find your outlook on life will be a lot brighter. ...going on a nature walk. I'm so, so grateful that the trees are finally in bloom. I feel like it happened so quickly, but I'm not complaining at all. I love the summertime and I love nature. I love going on walks in the wood and just being able to think to myself and find peace and quiet amongst the nature surrounding me. ...thrift shopping. This was a Mother's Day activity (although we do it pretty much all the time) but that's one of the things I really love doing with my mom. It's kind of just become our thing. I'm also excited about this particular trip because I found an awesome oversized lifeguard tank that I plan on wearing pretty much the entire summer. ...letting my imagination run wild. This is usually a very bad thing for me because I have the wildest, most detailed, "most unlikely to happen" imagination. I'm day dreaming at least 50% of the time. I have realized that I need to be in the present more and not let my imagination lead to disappointments. However, I haven't felt this giddy new beginning stuff in awhile and my soul really thrives on this kind of thing. ...all the ideas I have formulating. I may not complete any of them or ever get started on half, but the fact that I am starting to be creative again and really THINK about things I want to do is such a relief for me. As you may or may not know the past couple of months were slightly rough on me, especially creatively speaking, so now that I have my creative outlet back I am starting to feel more like myself these days. Plus it gives me projects to look forward to. ...still having dreams to pursue. I may have had quite a few tumbles and there are still plenty of obstacles in my way, but I haven't given up on my dreams these past couple of years which I think is pretty awesome. I'm glad that they're stilling floating around in my head, that I'm still trying to plan for my future involving my dream, that I haven't lost sight of what I truly want. For awhile there I thought I had lost it, but it was never really lost. I just had to regroup. One thing I realized in the process of writing these "thumbs up's" is that I always put restrictions on myself and what I want to be doing with my life because I feel I simply don't have the time. We hear it all the time, "there just aren't enough hours in the day." But I look around and I see plenty of successful people who put their heart and soul into things, even while still working a full-time job and MORE, and they manage to create beautiful things (whether it's a book, a business, a blog, etc.) I absolutely need to make an effort to stop using time as an excuse for why I am not doing what I love, what I want to be doing. If I keep saying I don't have the time, I will never reach my goals and dreams. And I think that happens to so many people. You may even be one of them. So if right now the only thing stopping you from doing something you know will bring you fulfillment and joy is the issue of "time" toss that excuse out the door. You have the time, you just have to make it work. 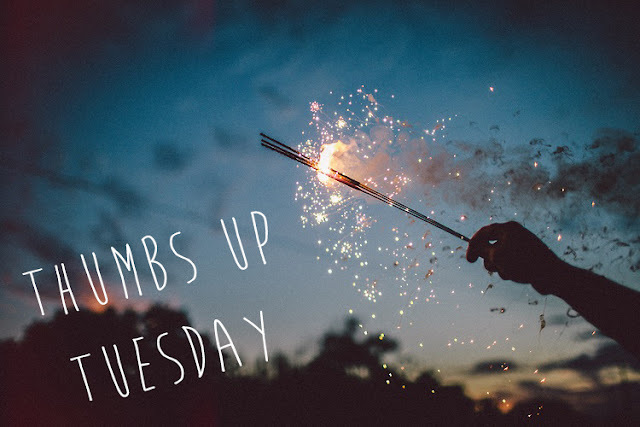 Thumbs Up Tuesday Link Up! What a great idea! We truly do not focus on the happy stuff enough!